Everyone, everyone! I have good news. Probably some of the best news you’ll hear all day: Fall is right around the corner! If you’re anything like me, you probably just broke into a sweat and are biting your nails, wondering how on earth you’ll be able to wait a whole month before autumn officially arrives. 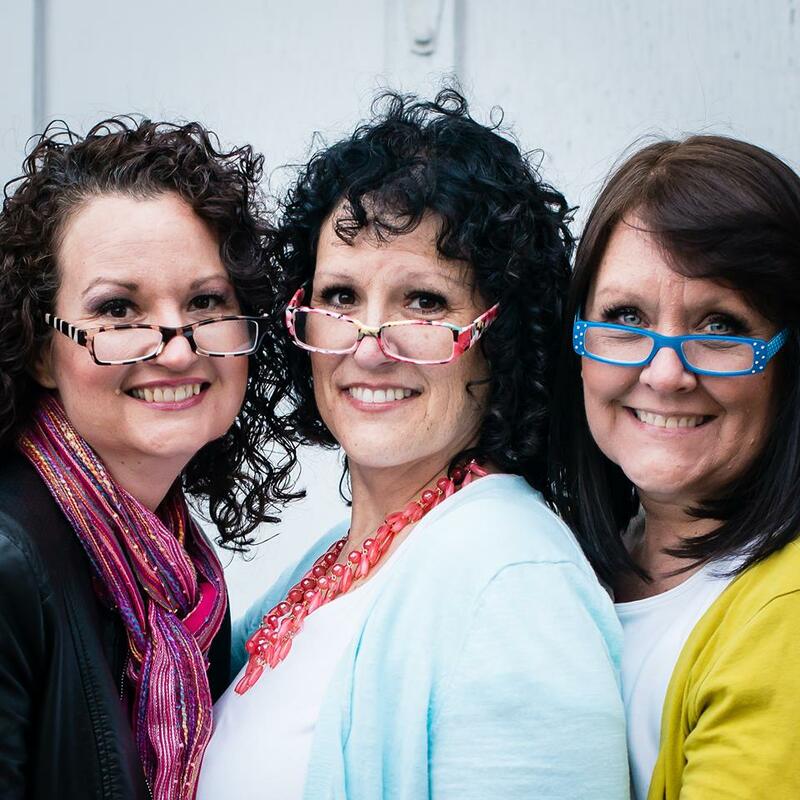 Fear not, worthy reader! 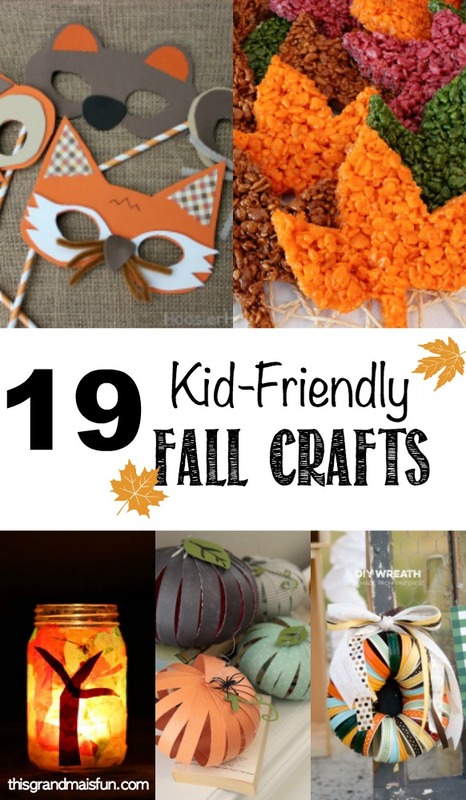 I have this little list of kid-friendly fall crafts to help keep you looking forward to that blessed day! 1. 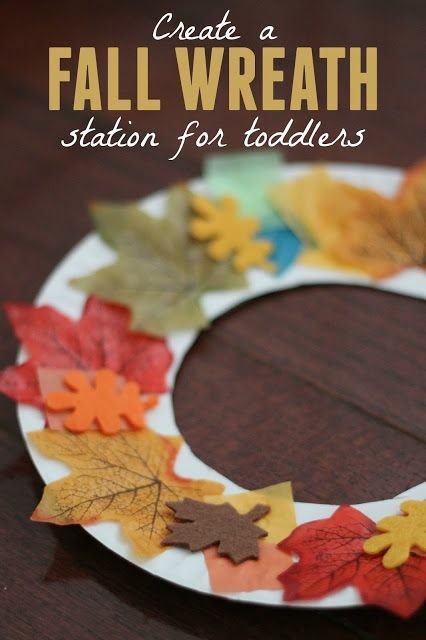 Fall Wreath- This wreath from Toddler Approved is perfect for little hands to work on. It’s simple and easy. Plus, the end result is the cutest little wreath made by the cutest little person you know. What’s not to love? 2. 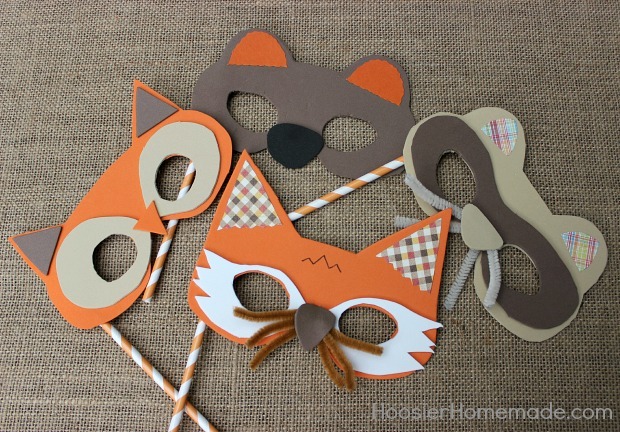 Woodland Creatures Masks- I adore these masks from Hoosier Homemade! Not only are they adorable, but you can put one on and teach your little ones their first lesson about hibernation! It’s a win-win! 4. 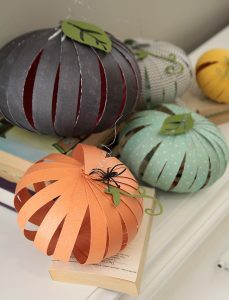 Paper Pumpkins- Here’s a craft we posted during our Autumn Market that is nice and easy for little hands! 5. 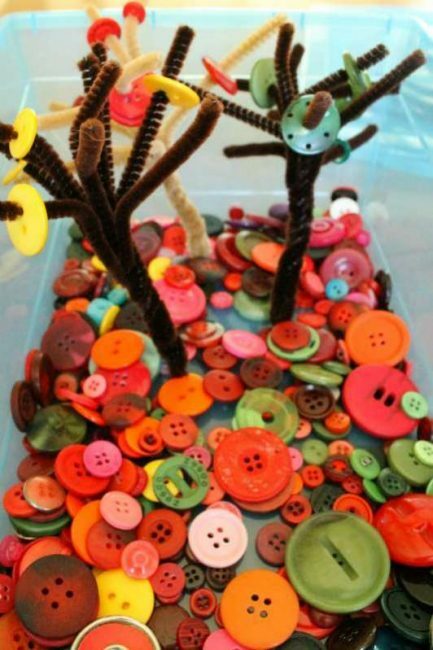 Fall Button Tree Activity- Have you ever seen the zen-like state a toddler enters when playing with pipe cleaners? Pipe cleaners are seriously miracle workers. 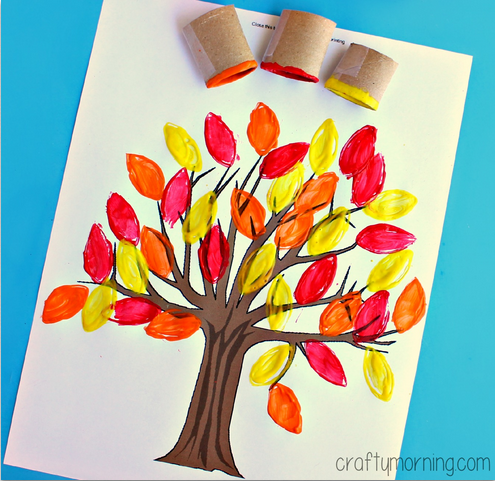 And, even better, this fall tree activity from Hands On As We Grow fits with the autumn time theme! 6. 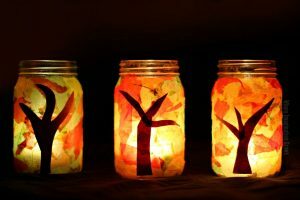 Fall Tree Luminaries- The warm glow that comes from these pretty jars creates a cozy, fall-time atmosphere. Check out Where Imagination Grows for instructions! 7. 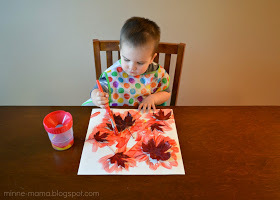 Toilet Paper Roll Leaf-Stamping Fall Tree- Creating a beautiful fall tree painting has never been easier or more fun! Thanks Crafty Morning for this lovely idea! 8. Football Pillow- What’s fall without some football? 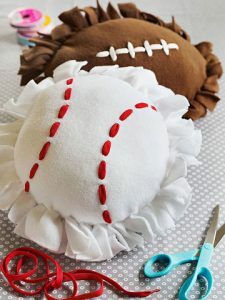 Here’s a cute football pillow (you can do other sports too) from Parents.com that will delight your little dears! 9. 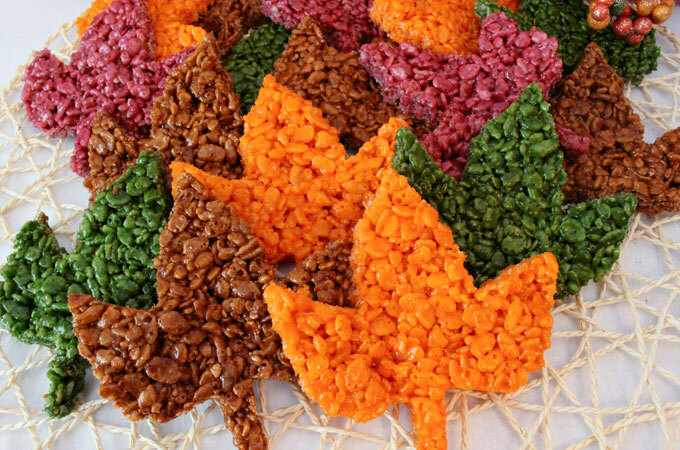 Fall Leaves Rice Krispie Treats- Ok, these Rice Krispie treats from Two Sisters Crafting are so pretty! My philosophy: The prettier, the tastier! Yum! 10. 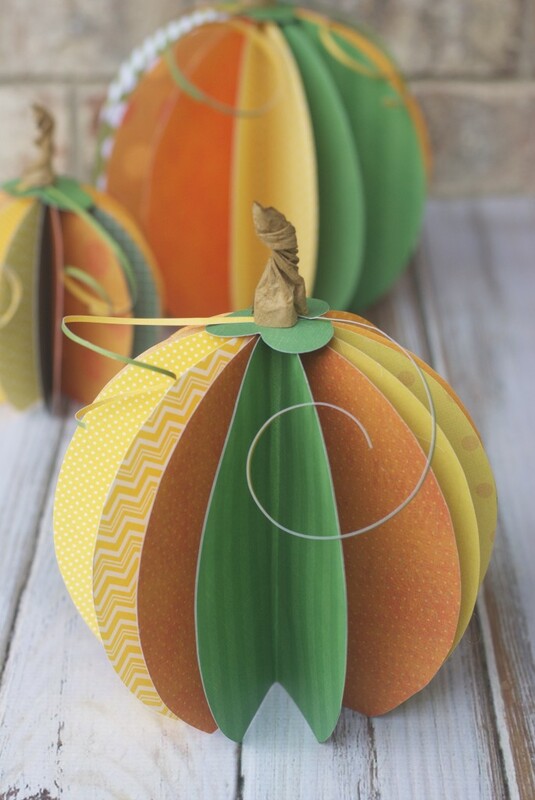 Patterned Paper Pumpkins- Fall is the season of pumpkins, so what better craft to make than this decorative pumpkin from It’s Always Autumn? 11. 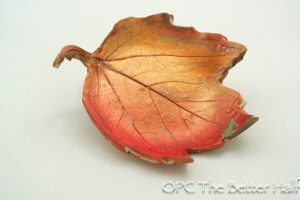 Clay Leaf Bowls- These easy bowls (seriously, it’s ridiculously easy) from One Project Closer turn into beautiful autumn decorations. 12. 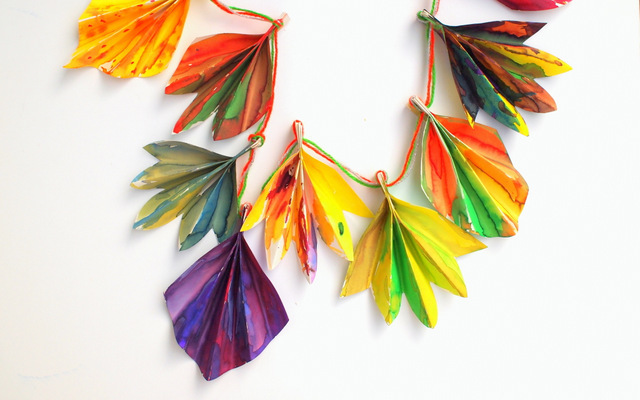 Fall Leaf Painting- Kids will love painting leaves onto their own canvases and the pretty end results. Thanks Minne Mama for the fun idea! 13. 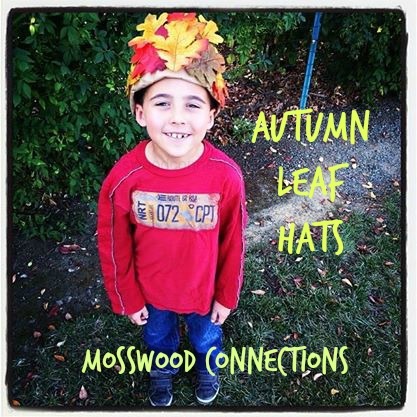 Autumn Leaf Hats – These little leaf hats from Moss Wood Connections are a fun and silly way to get into the fall spirit. 14. 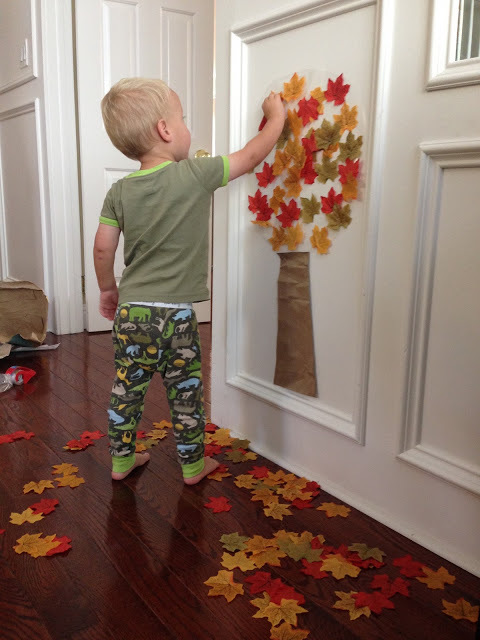 Easy Fall Tree- Oh my, I can see this cute tree from Toddler Approved occupying many a toddler all day long. That’s my kind of craft! 15. Acorn bells – If there is one thing I know about kids, it’s that they love to shake, wiggle, and dance! 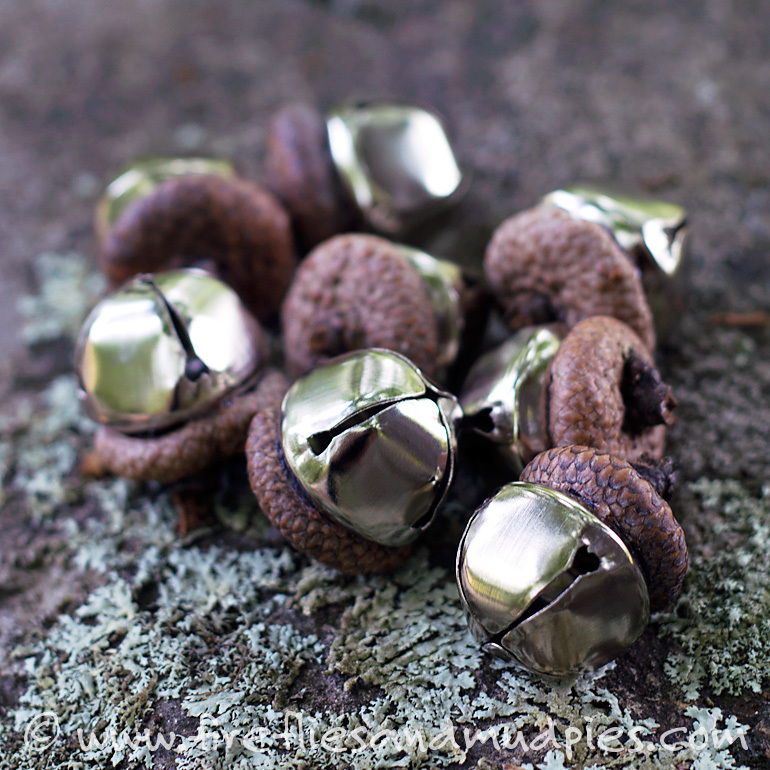 These little acorn bells from Fireflies and Mud Pies are the perfect thing for your darlings to shake and wiggle to! 16. 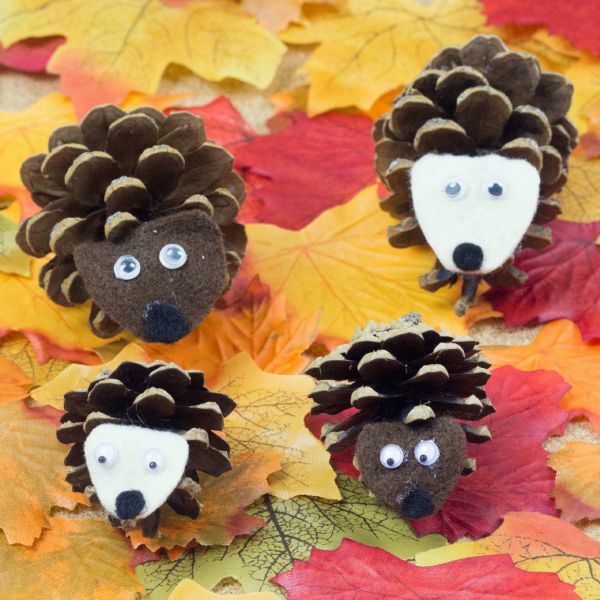 Acorn Owls – Acorns + Owls = Perfectly fall craft. 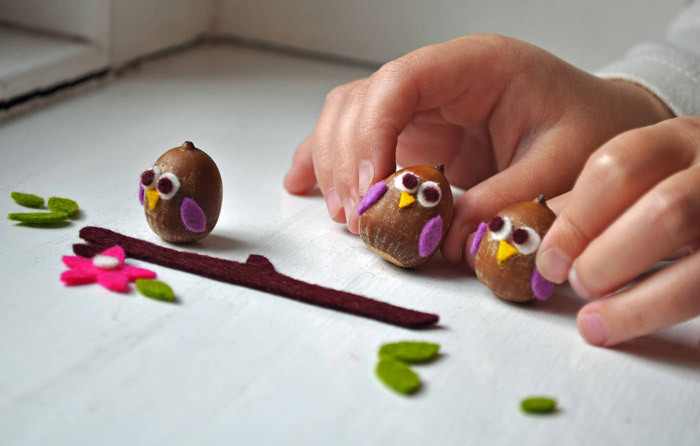 Check out these cute little acorn owls from Bloesem Kids! 17. Leaf Monsters – Am I the only one who loves to laugh at googly eyes? 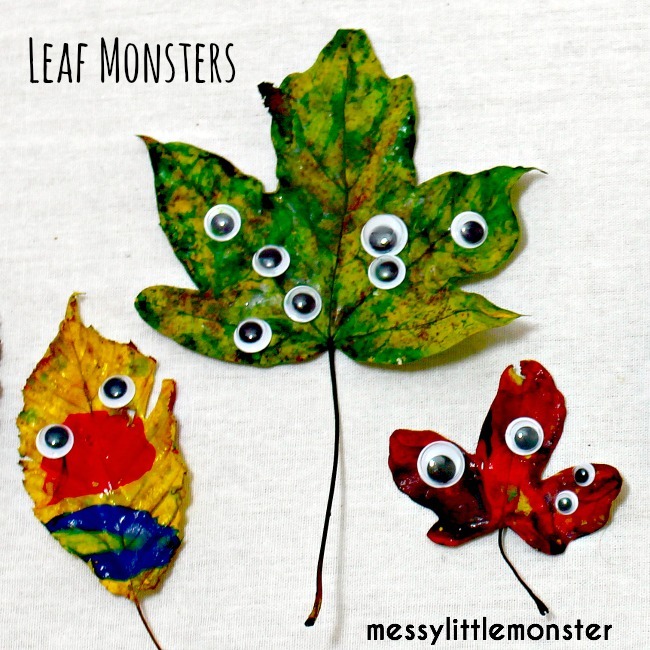 These little googly eyed leaf monsters from Messy Little Monster are so silly that I can’t help but love them! 18. Mason Jar Wreath- Here’s another from our Autumn Market! 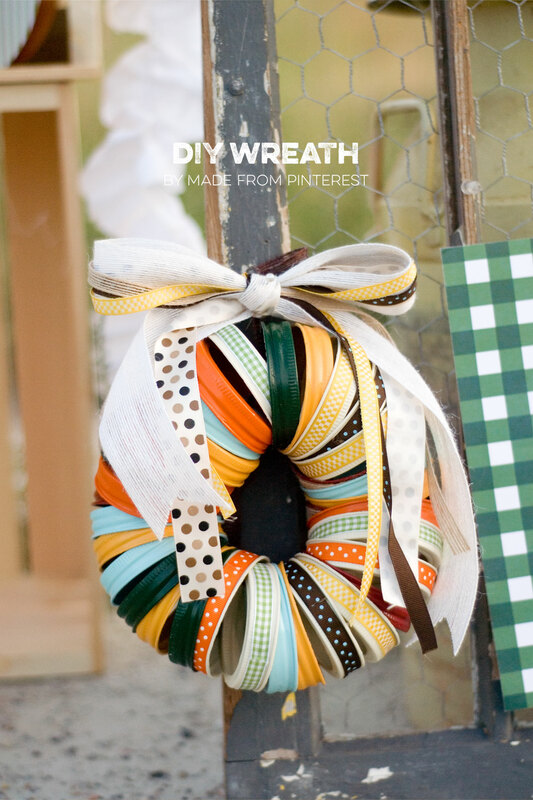 Kids will love stringing the mason jar lids onto this beautiful wreath! 19. Accordion Fold Fall Paper Leaf Banner – I am always looking for easy crafts that turn into beautiful decorations, and this beautiful leaf banner from Pink Stripey Socks fits that description to a T!